This week I’ve got some exciting issues to show you. 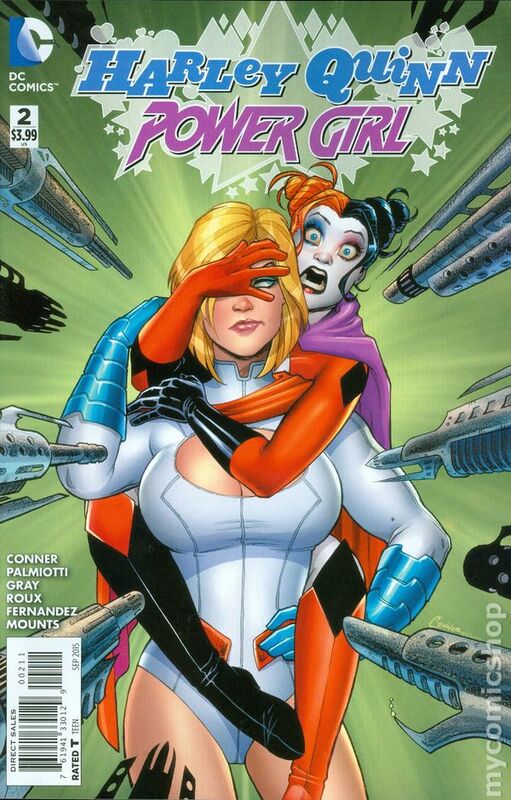 But of course it wouldn’t be a comic haul without my favorite anti-hero, Harley Quinn! It’s that time of year in Riverdale! The end of the school year. Time for beaches, barbecues, fun in the sun and… sharknados!?! 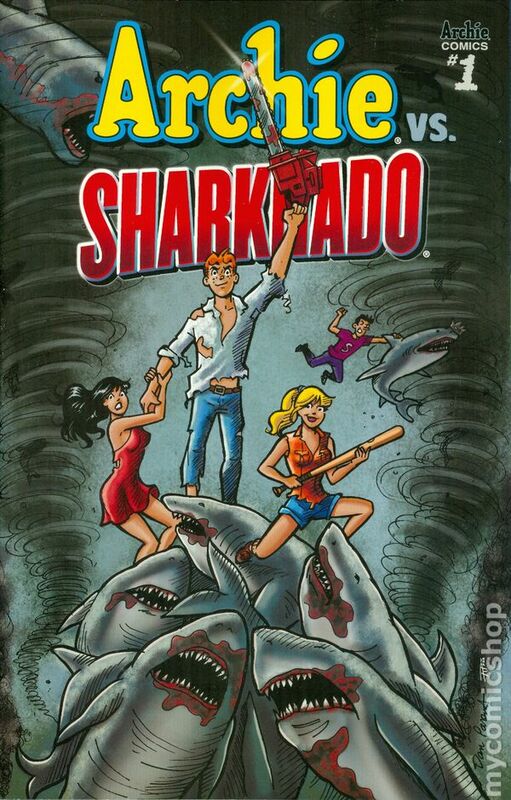 That’s right, get ready as Archie and the gang brave the storm of a tornado full a sharks that riffs off the pop culture phenomenon known as Sharknado! The story unfolds as sharknados are spotted on the ‘Feast’ Coast! Our heroines have to figure out how to get back to Riverdale, where the storm is about to hit next. 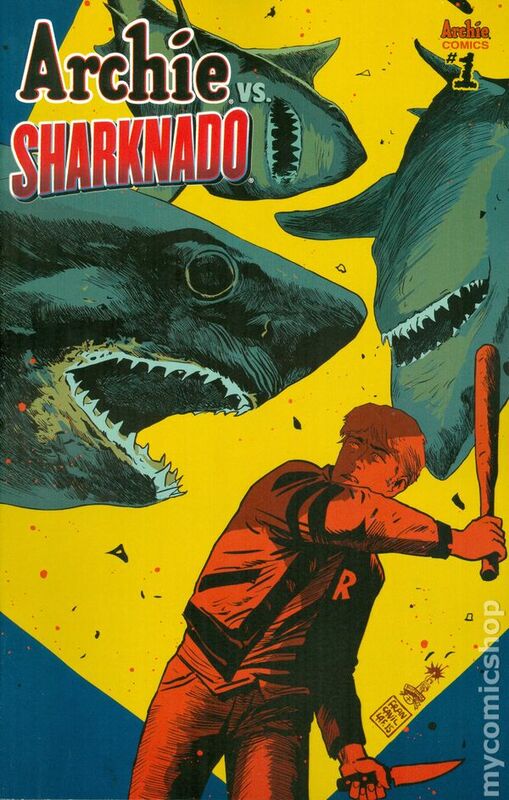 Soon Archie and the gang go, go, go as they battle the Sharknado-ravaged Riverdale! Who will live? Who will die? Will this take a bite out of the end-of-the-year prom? Uh… probably! One of my all time favorite TV shows has it’s own comic book! It’s none other than Charmed! If you’ve watched this show then you will love the comic even more! Prue, armed with the knowledge of what she has become, decides to take charge of her situation… leaving Kyra with a whole new world at her fingertips. Meanwhile, when Coop and Henry’s actions come to light, the Charmed Ones find themselves divided. This entry was posted in Comic Book Haul and tagged Amanda Conner, Anthony C. Ferrante, Archie Comics, Comic Book, Dan Parent, DC Comics, Elisa Feliz, Haul, Jimmy Palmiotti, July, Patrick Shand, Rich Koslowski, Stephane Roux, Zenescope Entertainment. Bookmark the permalink. What kind do you like? Super hero? Drama? Horror? Kid ones? Well I can’t say anything bad about Harley Quinn! She is my all time favorite female villain. She’s crazy, funny, and sometimes has a good head on her shoulders. Is also recommend Spider-Gwen. It’s a 5 issue mini series that will get it’s own official ongoing one in the fall! Oh my… Charmed was my favourite show alongside Buffy. 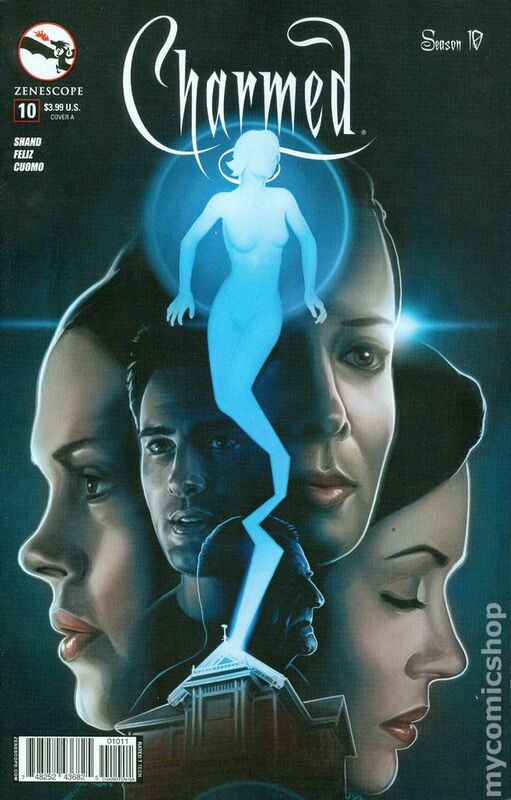 I knew the latter had a canon comic continuation of the show, but I had no idea Charmed had as well! I only found out about it recently! I got way to excited at the comic book store haha. Wow, Archie. Talk about a blast from the past. xD Hope you enjoy them! I will forever love Archie Comics! Such classics that remind me of childhood!